Social Action is the brain behind Co2penhagen’s waste concept. Co2penhagen is the world’s first CO2 neutral music festival. With intense and immense help from students from the IT University of Copenhagen, Social Action led the development of the waste concept. The concept has been underway since May and was realised and worked for the 3 days the festival lasted. 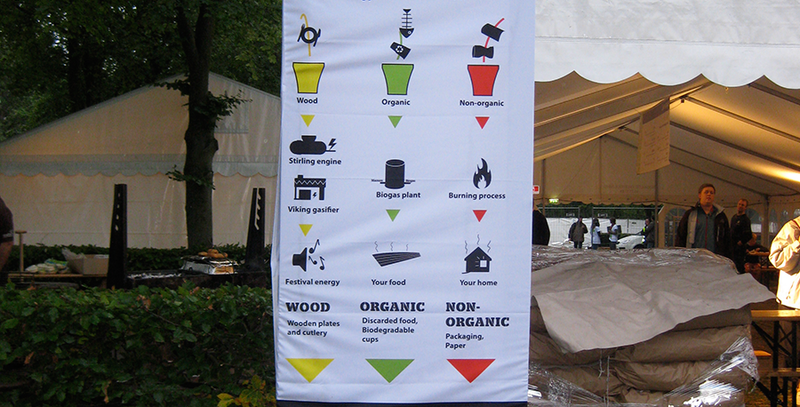 In short, the concept was grounded in dogma that people’s waste sorting and behaviour HAD to make functional sense. If the sorted waste was burned in the same incinerator as usual, the sorting would become a mere spectacle and not reflect the complex solutions that are needed in the future. – 1 for everything else that will be burned by Vestforbrændingen to create heat in homes in Sealand. Please contact Tobias (tobias@socialaction.dk) for more information on the waste concept, research and development and execution. Read article on the concept in Ingeniøren by clicking on this link.